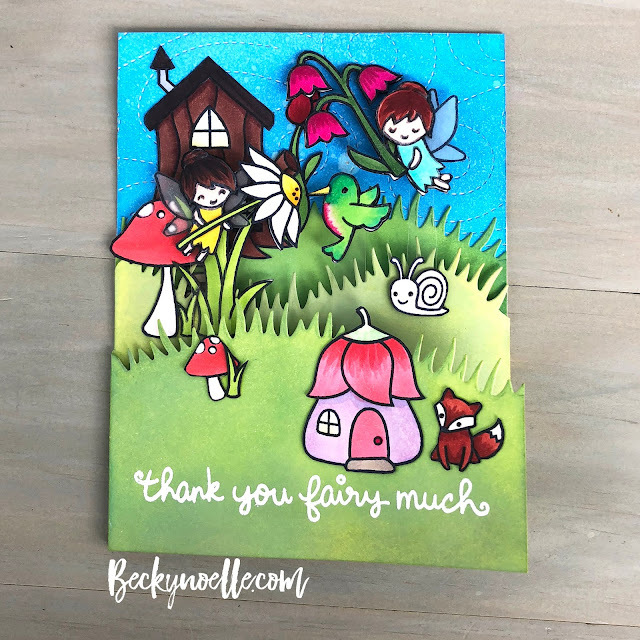 I've got a really fun card today to share for the current Lawn Fawnatics Challenge. 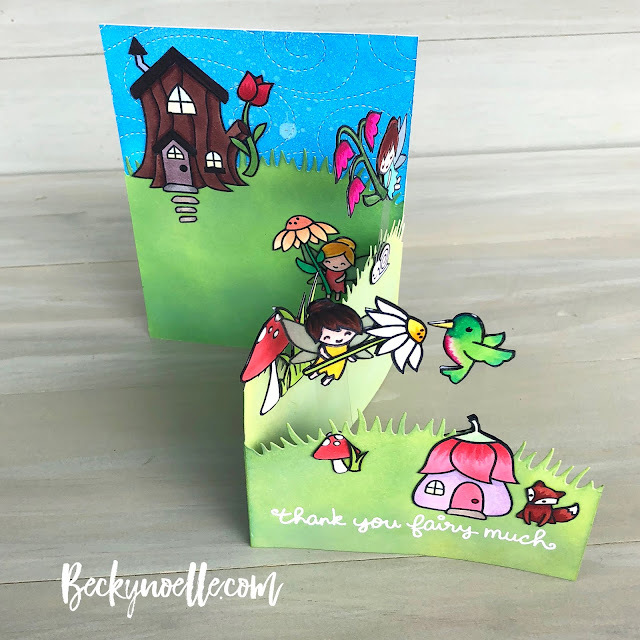 The challenge was to use "fun folds" so i made a ... I guess you'd call it a Z - fold card? ... with a bit of a stair step to it and filled it with some fairy fun! Whenever I have an image where the back is going to be visible, (on a pop up card like this or on a clear card...) I always try to make sure the back is tidy too, so I stamped all of my images with a mirror image stamp so i could color both of them and then glue them back to back wherever they stuck up on my card. 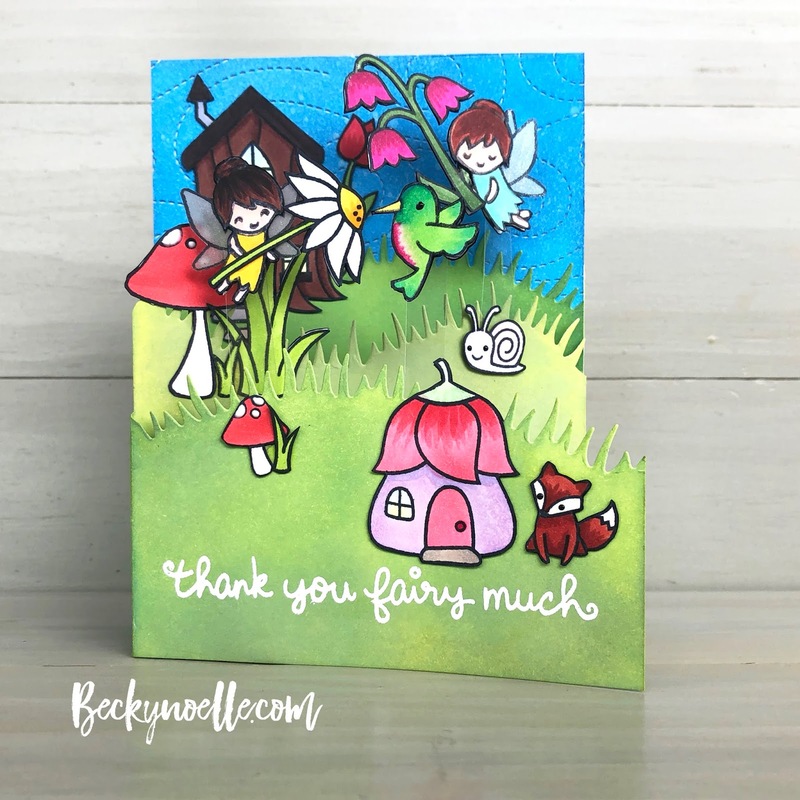 I'll be back on Monday with a card to kick off the next Newton's Nook Designs Inky Paws Challenge! Have a fantastic weekend! 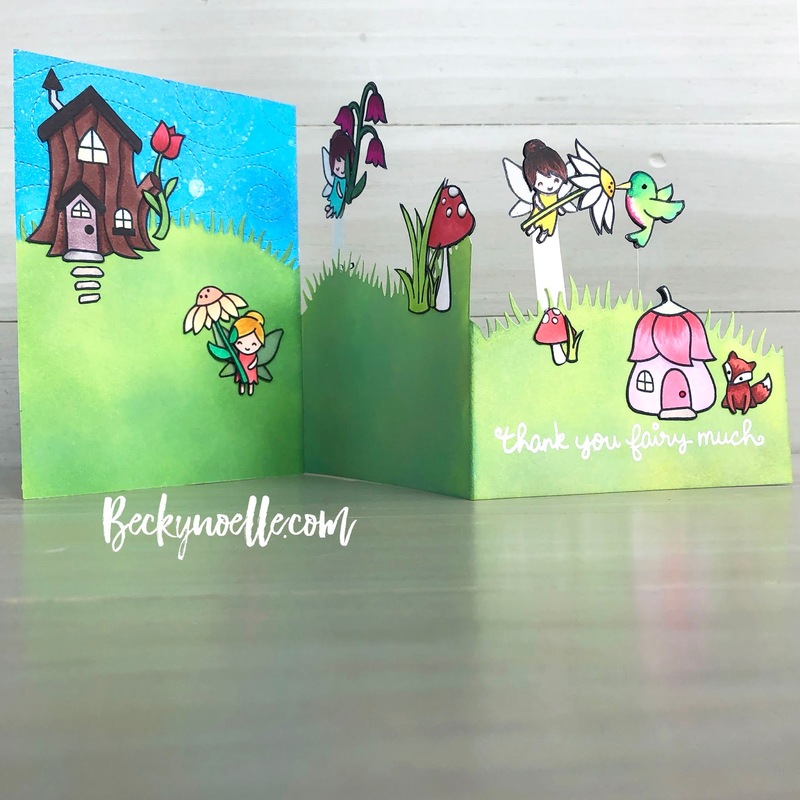 Love the way your card opens!